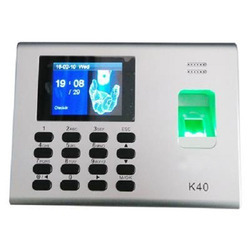 Pioneers in the industry, we offer biometric time attendance systems, biometric time attendance systems (biopad-100), biometric time attendance systems (hn-36 ), biometric time attendance systems (hn-36c) and biometric time attendance systems (ua-200) from India. Owing to the immense experience and a competent team of experts, we are able to offer Bio Metric Attendance to respectable clients. 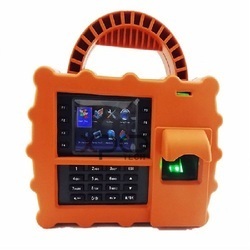 These attendance recording machines offered by us are made utilizing high grade raw material at trustworthy vendors premises. 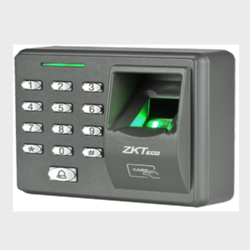 In addition to this, the offered range of attendance recording machines is applicable in banks, offices, colleges and allied areas. 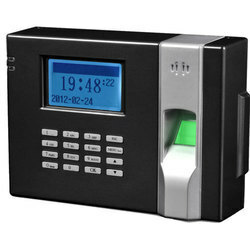 Inbuilt battery & RFID proximity reader. Sensor with quality image, accepts dry, wet fingers. Support 360-degree rotation identification, easy to use. Adjust image distortion, assure fingerprint matching consistency. Built-in USB, Serial and Ethernet ports. 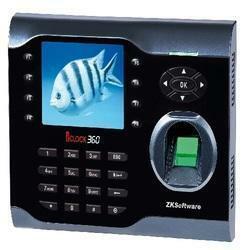 Looking for Biometric T & A Devices ?